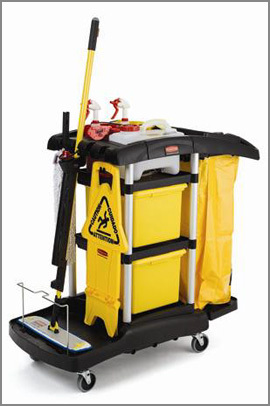 MJM provides full janitorial services to a number of Ottawa-area businesses. We can assemble a service package that meets the individual needs of any business, big or small. Contact us to discuss the nature and scope of the services that your business requires, and we will cater a cleaning program to suit your needs, and provide you with a competitive quote. Efficiency, reliability and attention to detail are what separates us from the rest. Daily, weekly and monthly contract rates are available. Floors – steam-cleaning, sweeping, vacuuming, mopping, scrubbing, waxing and re-finishing. Windows (interior only, but exterior service can be arranged through third party service provider). Interior detailing – dusting, doors, walls, cleanings, all surfaces, light-switches and trim. Kitchens – deep cleaning of all floors, restaurant equipment, under all restaurant equipment, all kitchen surfaces.